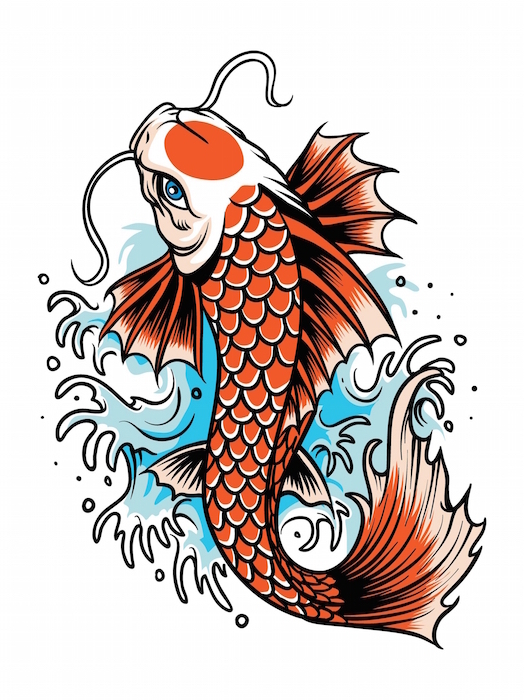 Koi fish are a domesticated carp native to Japan, and are often evocative of Japanese culture and a connection to nature; however, in recent years they have become popular tattoo designs for people around the world. 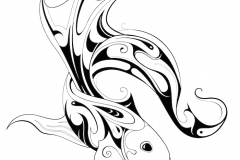 While the meaning of the koi tattoo may be important to wearers, there are others who are attracted to them simply for their striking style that is both simple and elegant. 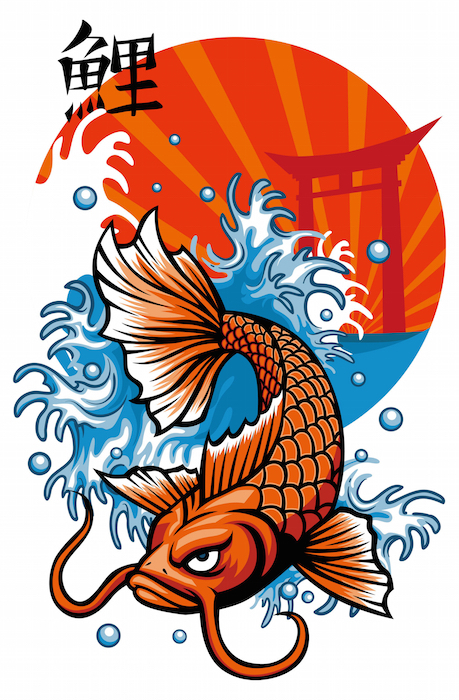 The Japanese koi fish is a symbol for good luck, and is of mythological importance in Japanese culture. 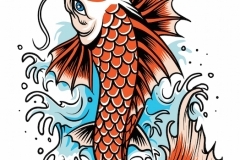 Ancient legends tell tales about how koi fish can transform into dragons through determination and will, so these tattoos can often represent goals and dreams. 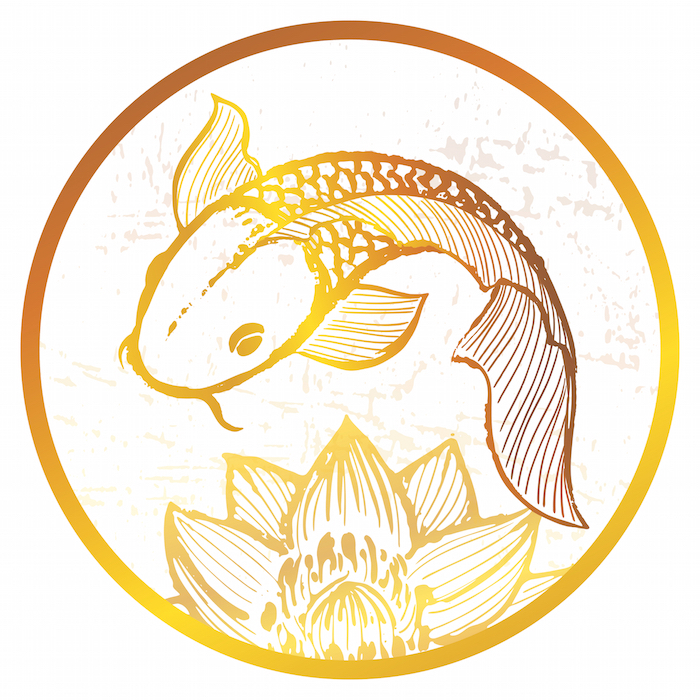 In Japanese culture the koi fish is a symbol for successfully overcoming obstacles, and can also be a reminder of the interconnectivity of life. 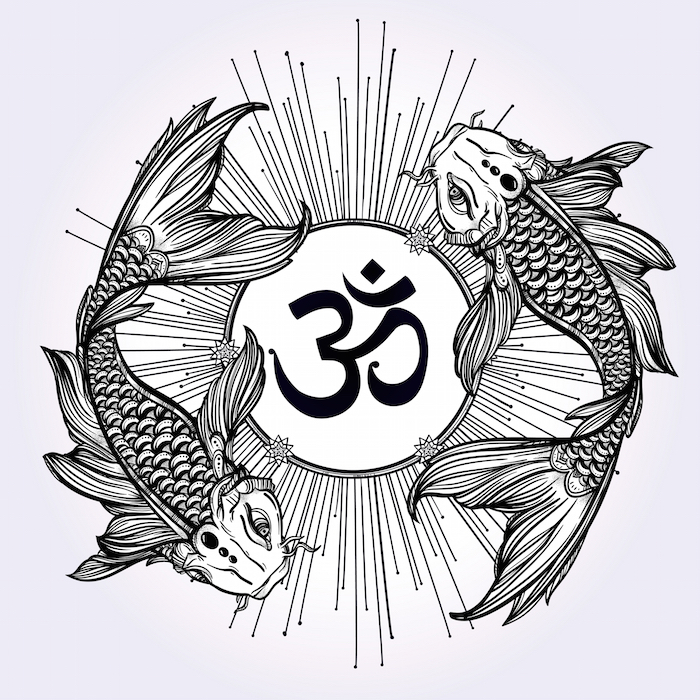 What Does the Koi Fish Tattoo Mean? 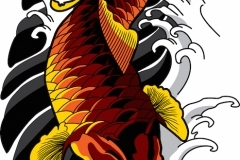 While many people prefer simple black line work in their koi tattoos, others may choose to emphasize the personal meaning of these tattoos through color or additional embellishments. 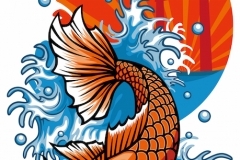 Color meaning in koi tattoos will often determine the wearer’s personal symbolism. 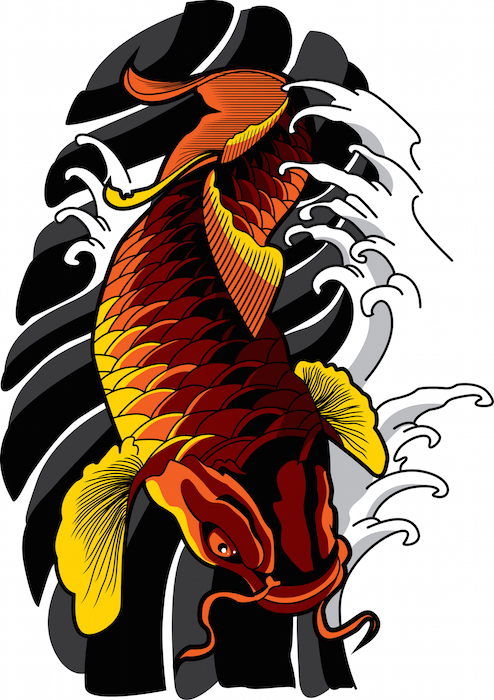 Red koi fish: These often channel a strong energy, but can also be representative of love and passion. Blue koi fish: These typically represent a masculine energy, but can also mean acceptance of past problems or obstacles in life. 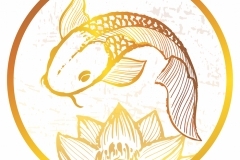 Black koi fish: These can be used to represent personal transformation related to successfully overcoming obstacles in life. 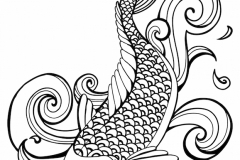 Dragon koi fish: Like a black koi, a dragon koi can be the ultimate representation of transformation, as the legendary koi was able to leave water to turn into a dragon through perseverance and determination of will. 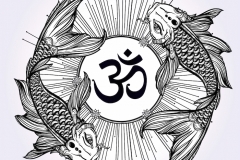 Koi swimming upwards: Typically, this has come to mean that a person is currently working toward overcoming a problem. 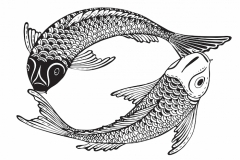 Koi swimming downward: Often this placement represents the success of effectively handling problems. 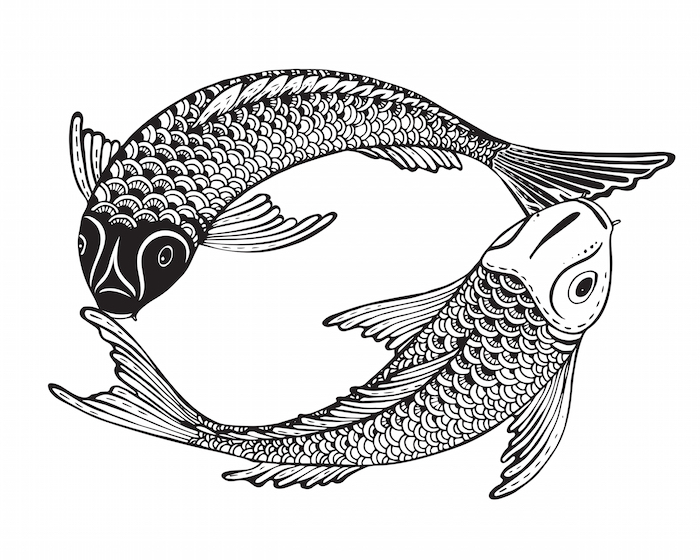 Two koi fish tattoo: Koi fish are sometimes placed in a yin and yang form, with one fish swimming up and the other swimming down. 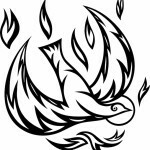 This type of tattoo often represents balance between all the world’s elements and life, but can also mean acceptance of the ups and downs that life presents. 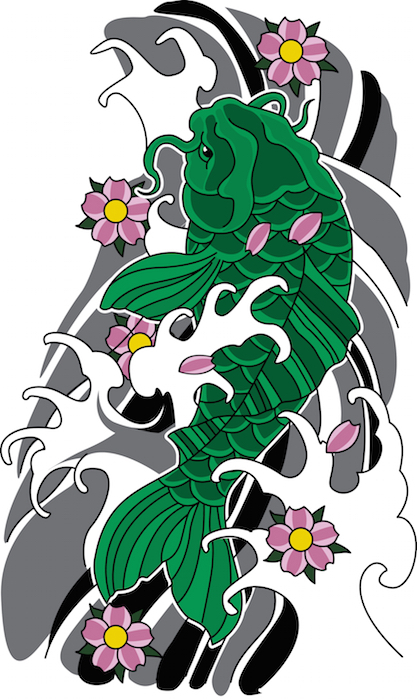 Many people like to wear koi fish tattoos on an arm, and they can be excellent base images for a full-sleeve tattoo. 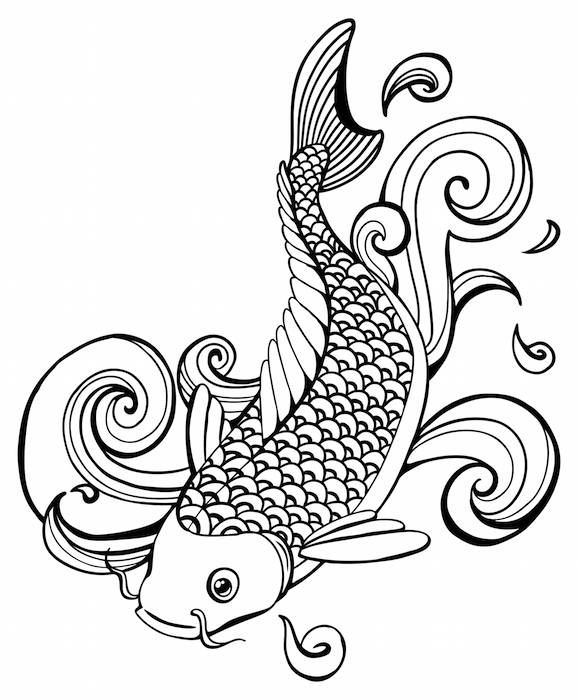 Small koi fish are often seen on the wrist and back, but using a koi fish for a large back tattoo is also a popular placement. Strength, perseverance, and will. 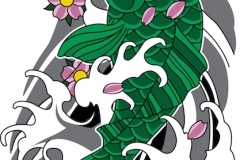 Like the koi fish who turns into a dragon, these tattoos will remind wearers of what they have overcome, and will give strength in the face of future obstacles. Strong and determined, and willing to face challenges head on. You want to be reminded of this on a daily basis, and may want to show to others the permanent reminder of your success in overcoming past difficulties. 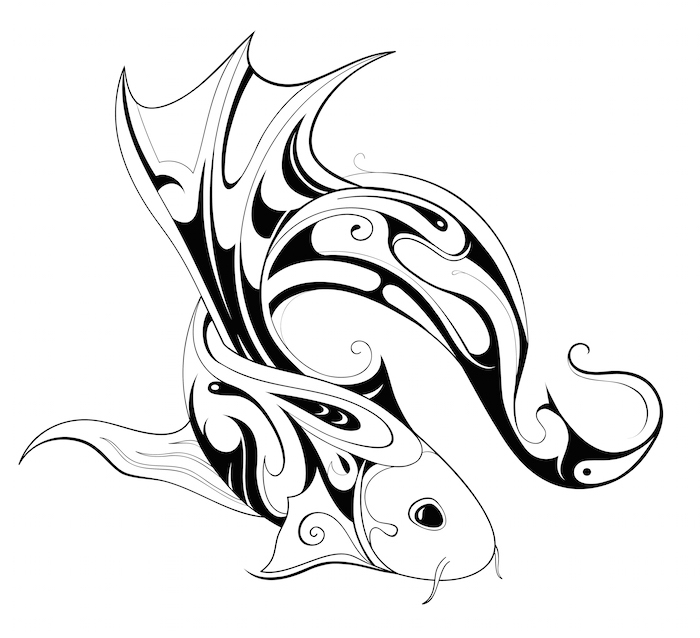 A koi fish tattoo combines a simple and classic style with deep meaning, no matter where in the world you live. These beautiful fish can be reminders that every day is a new day, and that sheer will can help you overcome anything that arises.